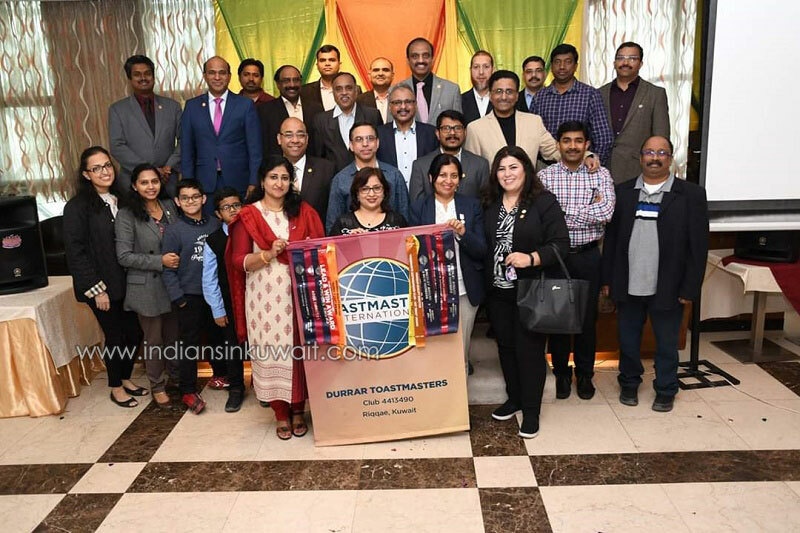 Durrar Toastmasters Club, part of Toastmasters International, celebrated its 100th Meeting and 4th Club Anniversary on the 2nd February 2019 with a variety of programs. The event was themed “Heartwarming memories- Four years of togetherness!” It was hosted in Rajadhani Palace restaurant, Khaitan. The meeting kick started at 10.15 AM as per the program schedule by reading out toastmasters mission statement. The President welcomed the members, guests and District and Division dignitaries. The seminar lead by Ramanujam Sathyamurthy on “How to organize a speech” followed by question answer session was the main attraction of the event. Speaker TM Dr. Tasneem Jasvi, a leading Gynecologist pointed out the identity crisis of teenagers who are addicted to social media. Dignitaries like District Program Quality Director DTM Waafa Salman, Past District Director DTM Dr. Maklouf, Division F Director TM Christy Kulathooran and Area 21 Director TM Raymond Pereira were graced the occasion with their presence and felicitation and blessed with a lot of wishes. Greeting messages were received from District 20 Director Khurram Salman and District 20 Club Growth Director Mohammad Saleem. Durrar Toastmasters Club Newsletter Reflections 2 was released during the program. The hark master TM Aji George added the final glam to the ceremonies. The video edited by TM Suhaan evocated heartwarming memories of the four years journey of the Club. The flyers and introductory video of the sponsors were exhibited. The sponsors of the event were Marhaba Restaurant, Address Life style, Boubyan Industry for Gases and Rajadhani Palace Restaurant. Club President TM Raj Dhanasekharan welcomed and Program Coordinator TM Nitesh Jacob thanked the dignitaries and audience. DTM Alka Kumra was the master of the ceremony, hosted the meeting with charm and brilliance. Toastmasters International is a nonprofit organization grew out of a single Club in 1932, currently spread its wings in 143 countries with 16,600 Clubs and 353,000 members. It provides a very supportive ambience to practice leadership and oratory skills. Durrar Toastmasters Club supports aspirants from Salmiya, Farwaniya, Khaitan and Reggae. For those who are interested to develop their public speaking skills, please contact Mr. Aji on 66399589.